Leader throw combines throwing and catching with agility. Form players into teams of 5. 1 player in each team stands 3 metres in front of the rest of the group who stand side-by-side facing them. The leader commences to throw the ball down the line of players. As soon as the last person receives the ball, the player at the start of the line becomes the new leader. Pass the ball down the line between players rather than back to the leader. When the ball reaches the last player, they become the new leader. 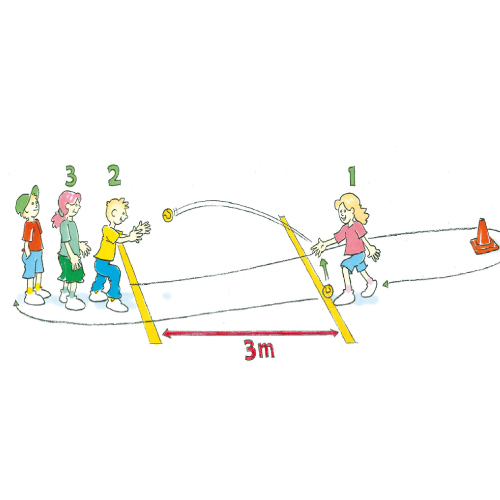 How can we get the ball down the line faster?